In Kenya, county Audit Reports give an independent evaluation on whether counties were prudent in their use of public resources and whether the public got value for the resources spent. In addition, the auditor looks into the internal financial controls in the counties and whether there are sufficient safeguards in place to protect public resources. 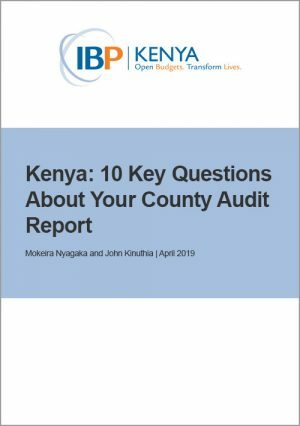 This guide — part of a series of guides on how to read and understand different budget documents at the national and county level in Kenya — provides some structured questions that will help the public, civil society organizations, and other agencies read and understand Kenya county Audit Reports.